The Society of St. Yves wishes you a Merry Christmas and a happy new year 2017! 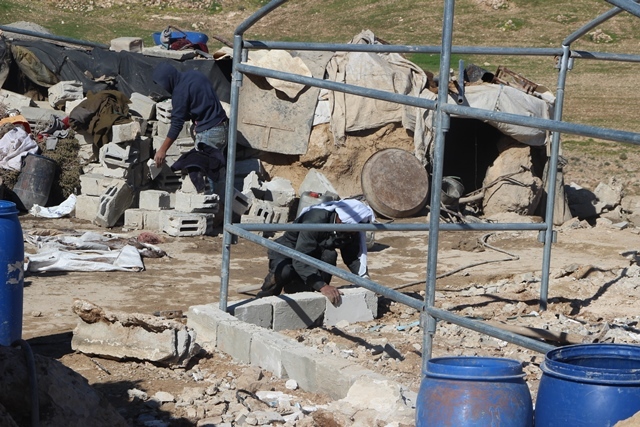 The Society of St. Yves – Catholic Center for Human Rights cancelled on the 23rd of November 2016, A.K’s house demolition order issued by the Israeli Ministry of Interior in Al-Sawahreh area in Jerusalem. A.K approached St. Yves only one day before the demolition was scheduled seeking immediate intervention. The Society of St. Yves in coordination with Al-Haq organisation, organised a presentation in Shufat camp. Adv. 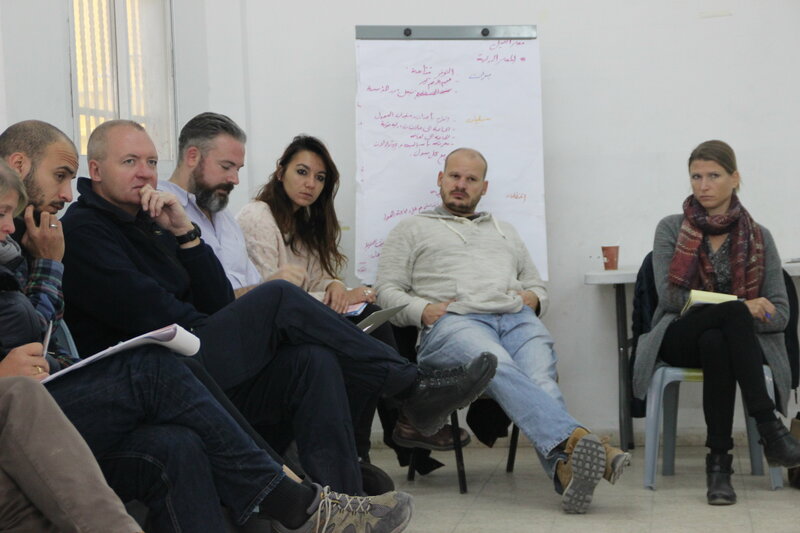 Raffoul Rofa, director of St. Yves talked about family unification procedures and their legal framework, as well as the effect these Israeli policies have on Jerusalemites in their daily lives. Adv. 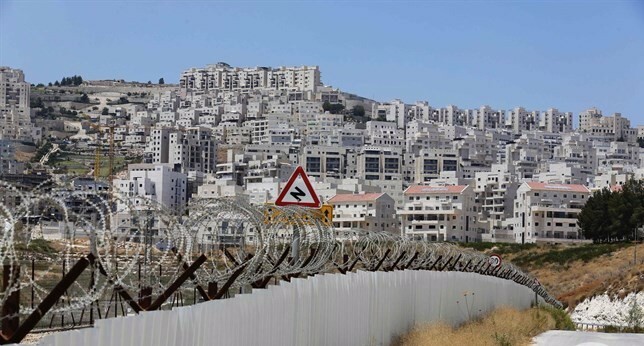 Rofa also highlighted the discrimination by Israeli authorities against Palestinians in Jerusalem using residency and family unification status in order to encourage Palestinians to leave their city. 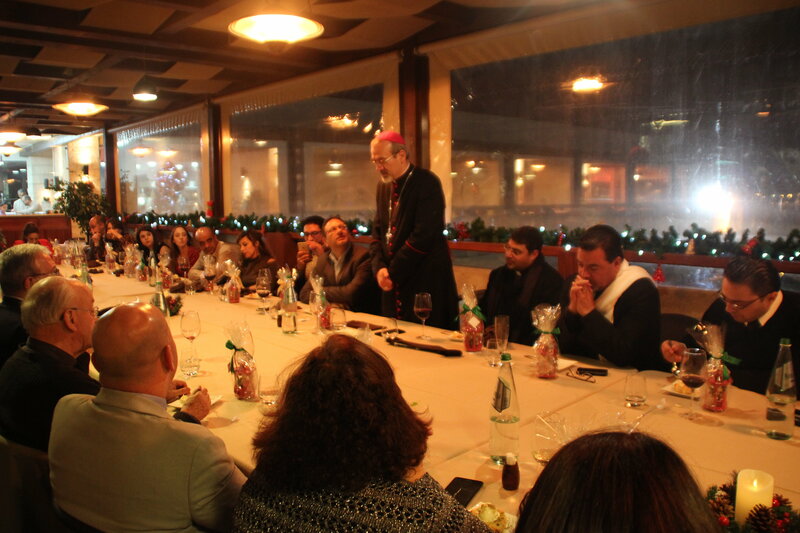 The Society of St. Yves held its annual Christmas dinner with the presence of H.E Most Rev. Pierbattista Pizzaballa, St. Yves' board of directors and St. Yves' staff. Adv. Raffoul Rofa, director of St. Yves thanked St. Yves board and staff for their dedicated work during 2016 and his Excellency wished St. Yves improvement and development and to continue helping the community and fulllfiling St. Yves' mission. The Society of St. Yves held a high number of awareness raising sessions in 2017 covering multiple topics such as house demolition procedures, residency and family unification procedures, national insurance, freedom of movement, land confiscation, collective punishment, and people with disability rights. 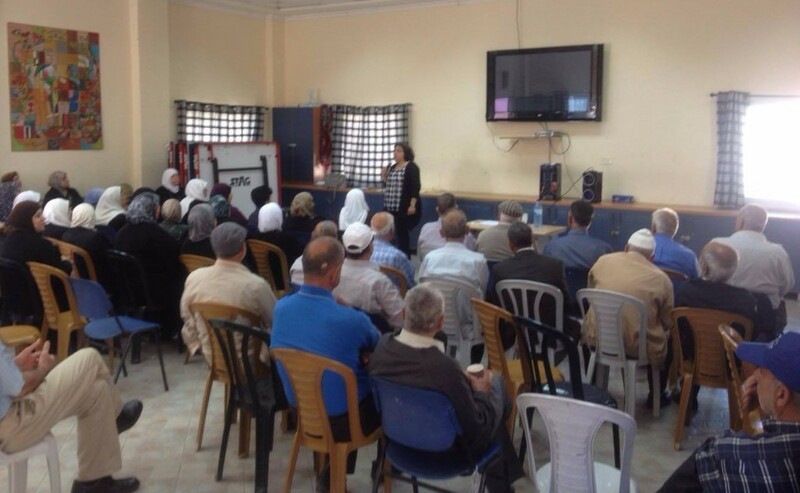 St. Yves reached new target groups villages and cities in Jerusalem and the West Bank. 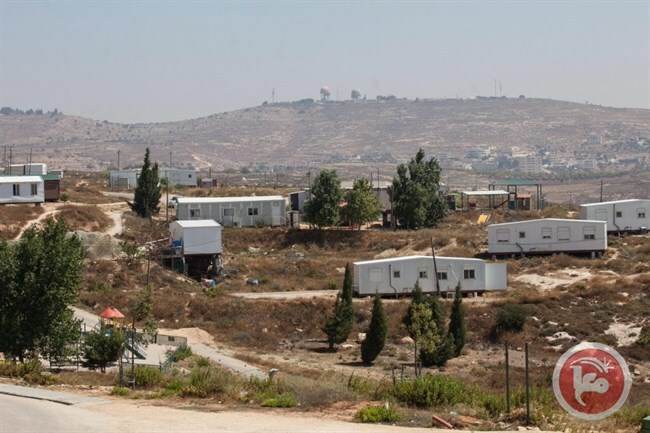 The Israeli Supreme Court Thursday accepted the Israeli government’s request to postpone the evacuation of the illegal Amona outpost -- built on privately owned Palestinian land in the central occupied West Bank -- until Feb. 8 in order to give additional time for the Israeli government to provide alternative housing for its residents. Israeli officials from the Jerusalem municipality, escorted by Israeli soldiers, raided the neighborhood of Issawiya on Thursday in occupied East Jerusalem and hanged demolition notices on several building. 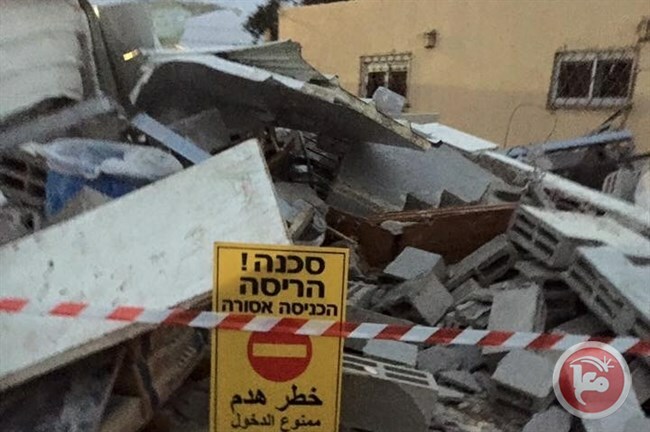 Al-Hummus noted that some of the notices targeted buildings which were built after the owners had been issued Israeli building permits, making the structures “legal” under Jerusalem municipality regulations. The United Nations Security Council (UNSC) on Friday voted in favor of adopting resolution 2334 that calls on Israel to cease all settlement activities in the occupied Palestinian territory, including East Jerusalem.The vote, with 14 member states voting in favor and the United States abstaining from the vote, was the first such vote to be held on the Middle East Peace process in eight years, according to the UN.